Members of different ethnic communities live in the municipality of Strumica. The multiethnic character of the population requires the municipality to continuously promote interethnic integration, especially in the field of education. The commitment of the municipality is especially emphasized through the cooperation with the civil sector – in a number of projects it appears as a pilot municipality, where activities for interethnic integration involving students, teachers, parents, school management bodies, parents’ councils and the local community are implemented. 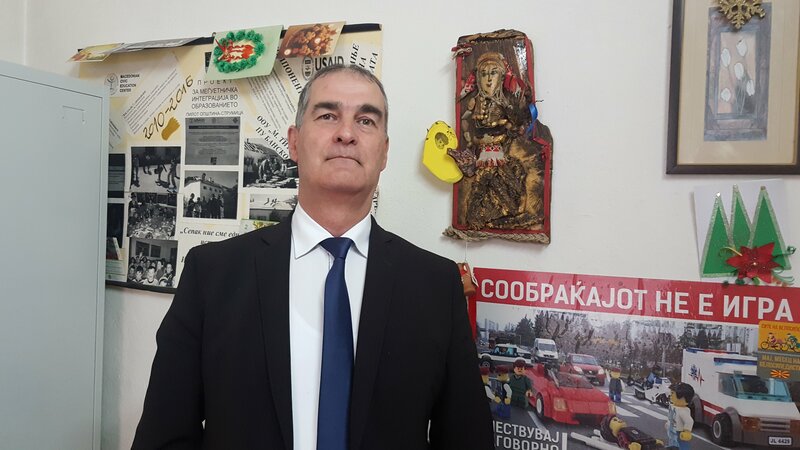 Read the interview with Zoran Uzunov, an educational inspector in the municipality of Strumica and find out more about how municipalities can support schools in improving interethnic integration. For schools to be able to implement activities for interethnic integration and civic initiatives, the support from the institutions is very important. 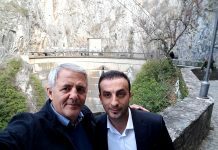 In what way does the municipality of Strumica give support to the schools and teachers in Strumica? Interethnic integration in education means promoting the interaction between students in schools with either one or several languages of instruction. When students participate in joint activities, they have the opportunity to communicate with each other directly and have a mutual contact, get to know each other. It is important for students to learn both about each other and from each other, which reduces the negative stereotypes and prejudices for the “others”. 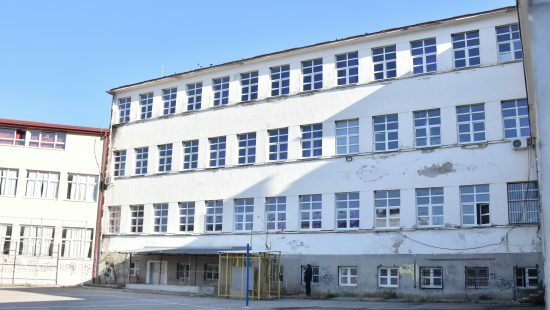 Therefore, the Municipality of Strumica is developing a system of organization of joint activities for interethnic integration in education (IIE), through organized inter-school meetings in schools with either one or several languages of instruction, involving a large number of students of mixed ethnicity, as well as teachers and parents. 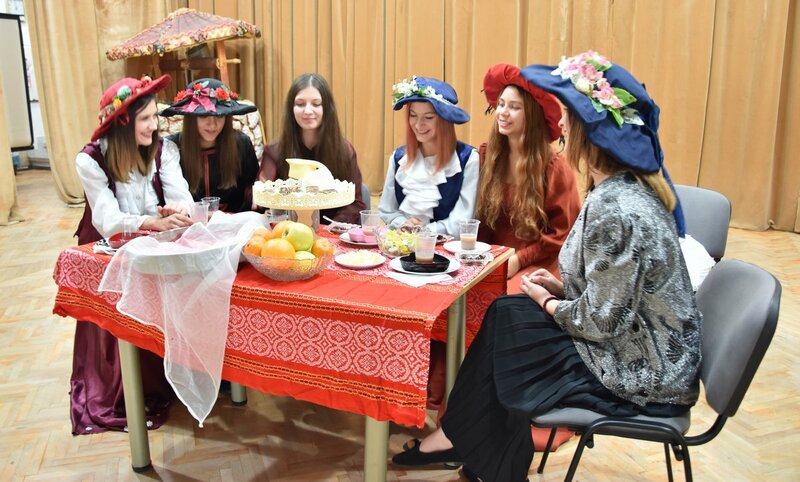 For each year, MKD 15,000 from the budget of the municipality are foreseen for each school that can be used for joint teaching activities such as joint classes or research projects, but also for joint extracurricular and free student activities such as excursions, school clubs, theatrical performances, sports games, etc. 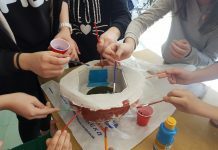 These are just a few examples of the activities realized with the MKD 15,000 from the budget: Under the motto “We play, Learn and Grow Together”, the students and teachers of the “Marshal Tito” primary school from Strumica and the “Sv. Kiril i Metodij” primary school from the village of Dabile, oragnized a joint meeting which involved sports games, while students and teachers from the “Nikola Karev” secondary school from Strumica, together with the partner school “Saraj” from the municipality of Saraj, visited the mosque and the church “Sveti Petnaeset” in Strumica, after which they realized a joint drawing activity. At the request of the schools that are directly related to intercultural communication and interethnic integration outside of the country, so far, financial support has been provided for cooperation with schools from several municipalities in the Republic of Turkey, Croatia, Italy, Bulgaria, etc. For the international intercultural exchange camp in the Pestalozzi children’s village – Trogen, Switzerland, which has been organized for the third time for the students from Strumica, the municipality provides 300,000 denars for transportation of 40 students and 6 educators. 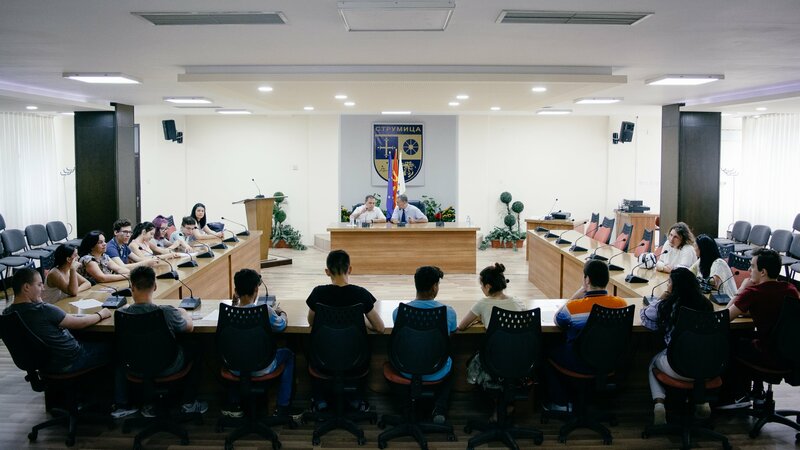 In 2016, in order to plan, implement and follow the activities for interethnic integration in the schools, the Municipality of Strumica established a Committee for Interethnic Integration in Education. How does the Commission function and what are the results of the work so far? The main tasks of the Commission include the preparation of a municipal action plan based on the action plans set out in the annual programs of schools, provision of financial and logistics support for the implementation of interethnic integration activities, as well as participation in the implementation and monitoring of the activities. In fact, the Commission plans and realizes the activities together with the schools, participates directly, follows the “path” from idea to realization and informs the public through the website of the municipality and through other electronic and written media. In addition, the Commission prepares annual reports and submits them to the Mayor and the Municipal Council. It is important to mention that the Commission is composed of representatives of the municipality and representatives of primary and secondary schools. Since the previous commission had a mandate of two years, a new one was formed this year, which began its operation at the beginning of the school year. The previous reports received from the schools and from the Commission show that in the last two years 24 different activities have been realized, which can be seen on the website of the municipality. These activities are also part of the annual school reports, and some of the posters, works and written documents are placed on the walls of the school halls. 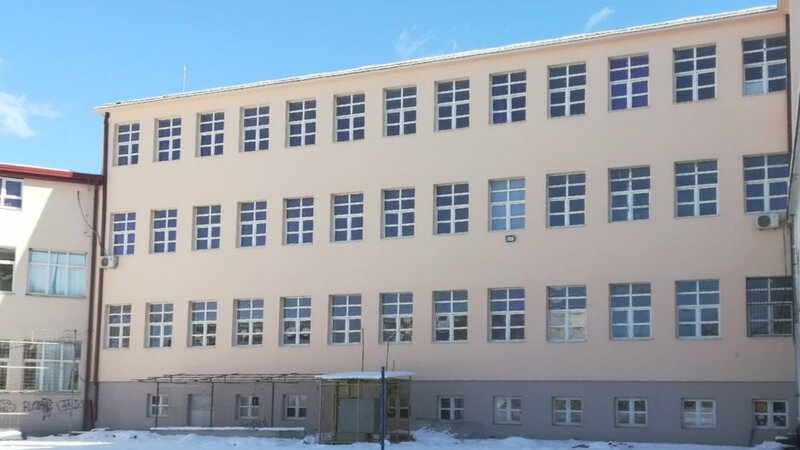 The Municipality of Strumica also has its own municipal strategy for the promotion of interethnic integration in education. What does this strategy cover? The overall goal of the strategy is to establish an incentive environment for the active participation of the municipality and the schools in the creation of policies for interethnic integration activities at the municipal level. It encompasses several areas that are planned in the annual school programs. In addition to the other activities that I have already mentioned, the municipality monitors the mechanisms that promote the equality and fairness towards children regardless of their gender, ethnicity, social background and abilities, that is, it ensures that the schools follow a policy of acknowledgement and promotion of the gender, ethnic, cultural, religious and linguistic diversity in the school and community. Also, the municipality ensures that the schools plan and implement activities whereby students will be encouraged to actively listen, express their opinion and respect the opinion of others in the group. As an educational inspector, you are in constant communication with schools. When visiting schools, what are your impressions regarding school activities and working conditions? Within the established competence of the authorized municipal inspectors, and starting from the strategic priorities in the Strategy for Education, together with the school management, the situation of the facilities is reviewed and the needs for improvement or reconstruction of the facilities are identified, especially with regard to the regional primary schools, procurement of teaching materials and technical equipment, improvement of the energy efficiency by introducing gas heating, installation of new windows and doors, thermal facades, roof constructions, etc. Last year, MKD 500,000 from the municipal budget were dedicated to renovation, reconstruction or other craft and construction works, which for example, lead to the installation of new windows in the regional primary school in the village of Bansko, the renovation of the gymnasium in the school in the village of Velusa, etc. With funds from the municipal budget, several playgrounds in the school yards have been asphalted on a number of occasions, and new ones have been built. I must also mention the fact that at the organized municipal budget forums, representatives of all schools contribute to the creation of the municipal budget. Also, during the reconstruction of schools with funds from various donors, in particular USAID, the municipality provides financial resources thus achieving greater effects on the renovation and ensuring sustainability of the building. However, I must point out that the decentralization process does not include renovation of schools. For capital investment, the Ministry of Education and Science is still the main factor.